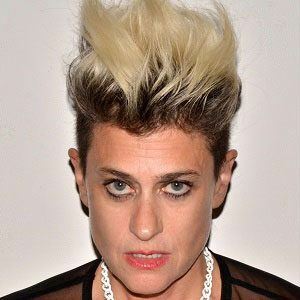 Punk singer and electronic music producer who has self-produced a number of radical albums, including The Teaches of Peaches, Impeach My Bush, and I Feel Cream. 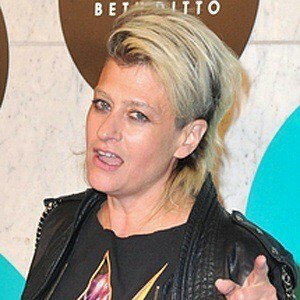 She has contributed to the soundtracks of films such as Lost in Translation and Mean Girls and television series such as True Blood and The L Word. Before beginning her music career as a member of the folk group Mermaid Cafe, she taught theater and music at the Associated Hebrew Schools of Toronto. 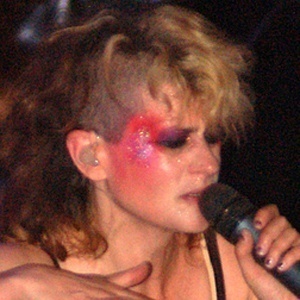 Her explicitly-titled third album rose to number three on the United Kingdom dance music chart and won her a 2004 GLAAD Media Award nomination. 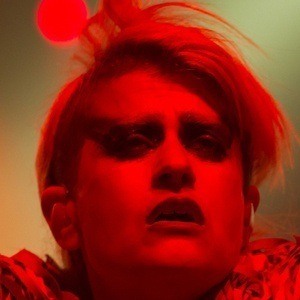 She went on to win a 2010 Independent Music Award for Electronic Artist of the Year. She was born Merrill Beth Nisker into a non-religious Jewish family of Polish and Galician descent; she spent her youth in Toronto, Ontario, Canada. She contributed to pop singer Christina Aguilera's 2010 Bionic album.